Posted on Friday, April 5th, 2019 at 5:12 pm. 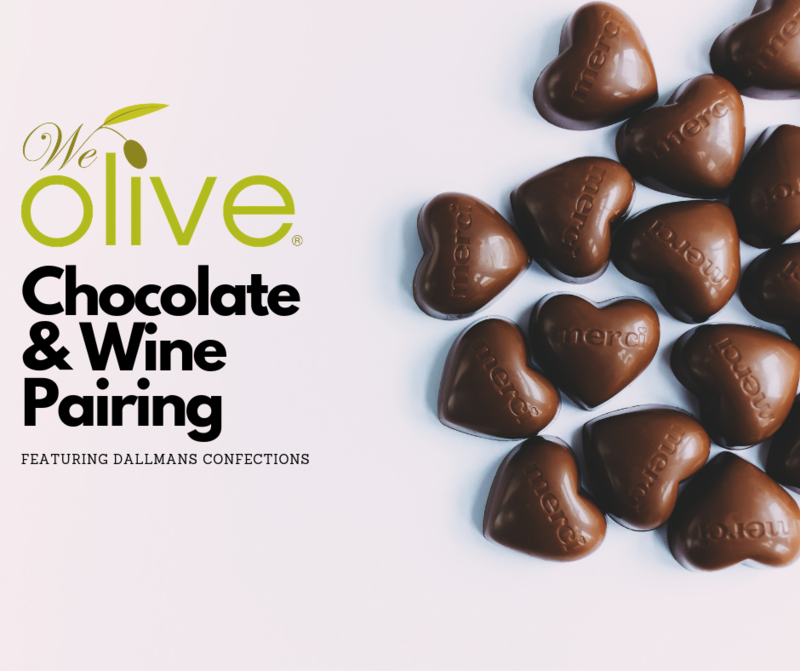 We Olive is partnering with Dallmann Confections to bring you a luxurious chocolate & wine pairing event. Join us for a divine event as we teach you the basics of pairing wine & chocolate. $30 ticket includes 5 generous tastes of wine & 5 Dallmann chocolates to pair along with the exclusive event discounts on bottles of wine, olive oil, & chocolate. 21 & older only. No exceptions. We will feature Dallmann chocolate & wine pairings in the wine bar through Mother’s day. Treat your mom to a fun experience at our ocean view wine bar.